Lt. Governor Anthony Brown’s campaign failed to report a $250 contribution from a Maryland Health Exchange vendor. Exchange contractor, Greenbelt-based Angarai International Inc., donated $3,250 to Friends of Anthony Brown between June and December 2012, according to the company’s corporate disclosure forms filed with the Maryland State Board of Elections. 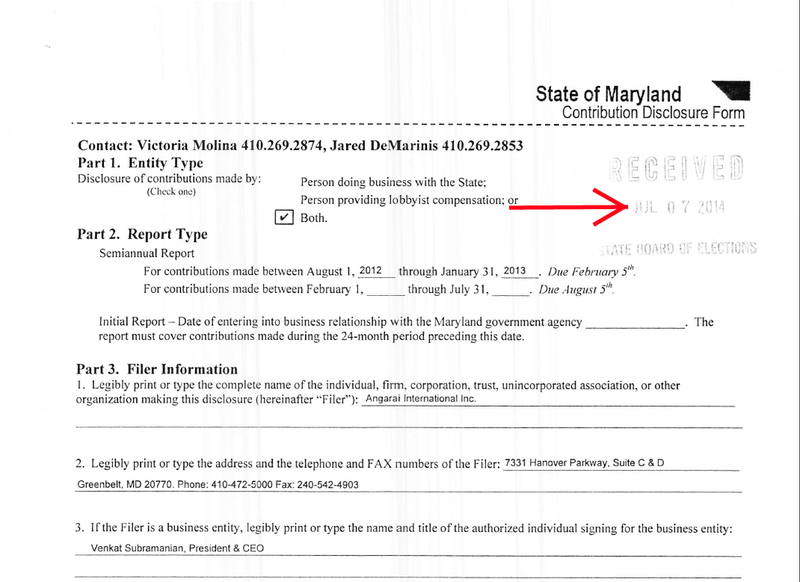 All companies doing business with the state of Maryland that donate more than $500 to candidates must report their campaign contributions to the board. According to the Maryland Health Exchange’s procurement listing for 2014, the exchange awarded Angarai a $3.5 million contract for Independent Verification and Validation (IV&V), and a 2012 program management contract worth $886,000. Angarai’s corporate disclosures also list a $1.8 million, management consulting contract with Maryland’s Department of Human Resources. Brown’s 2013 Annual campaign finance report, which covers the period January 12, 2012 through January 9, 2013, does not disclose any contributions from Angarai International Inc. However, the report does list all but one contribution from Angarai CEO, Subramanian Venkat that matches the contributions on Angarai’s corporate disclosure form. There is a discrepancy between the Angarai disclosure form and Friends of Anthony Brown’s 2013 Annual Report. The $250 contribution made on December 31, 2012 listed on Angarai’s corporate disclosure form does not appear on Friends of Anthony Brown’s 2013 or 2014 annual reports. 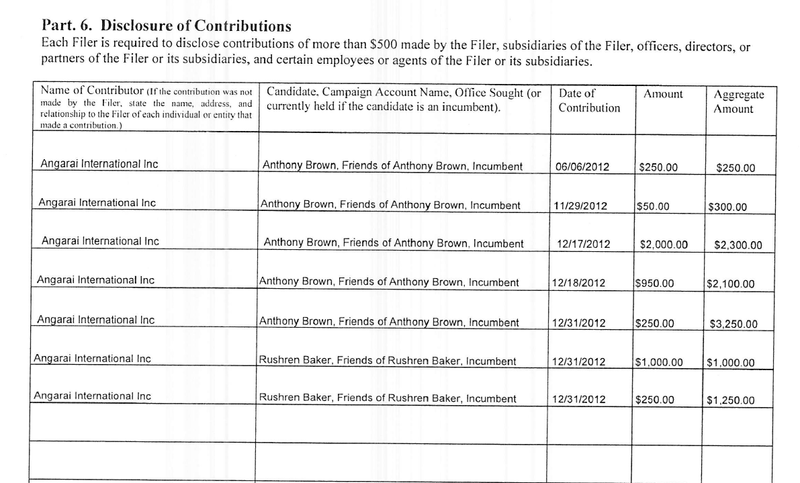 Friends of Anthony Brown’s 2014 Annual Report shows Subramanian also donated $400 on May 20, 2013. The majority of Angarai’s donations to Brown came the year it won the management-consulting contract. Maryland campaign finance records show Subramanian donated $250 to Brown on January 9, 2012 the same day the exchange awarded Angarai the management consulting contract. Furthermore, all of Angarai’s corporate filings, for reporting periods dating back to August 2009, were singed and dated June 27, 2014 by Subramanian. The board of elections did not receive them until July 7, 2014. In some cases the reports are over four years late. In the case of Angarai’s donations to Brown, the filings are over one year late. So we requested copies of the quality-assurance documents prepared by two contractors hired by the exchange: Berry Dunn and Angarai International, during the first and second exchange platform builds, respectively. We intended to perform a comprehensive technical review of all documents and publicize the results. Our conclusions would be uniquely beneficial because the three of us have expertise in three fields: technical audits, financial audits, and open government. A much-needed assessment has never been done; we hoped to fill this gap…. The exchange, in two tersely-worded letters issued more than a month after the statutory deadline, denied that it was responsible for releasing any of the thousands of records we asked for, because those records are protected (from release) by “executive privilege” and “deliberative process privilege.” We immediately asked for clarification but have so far received no response. Was the person invoking these privileges a higher-up such as Gov. Martin O’Malley or Lt. Gov. Anthony Brown? The denial letters don’t say. But one matter is clear: This individual has damaged the free flow of public information via an improper categorical denial. 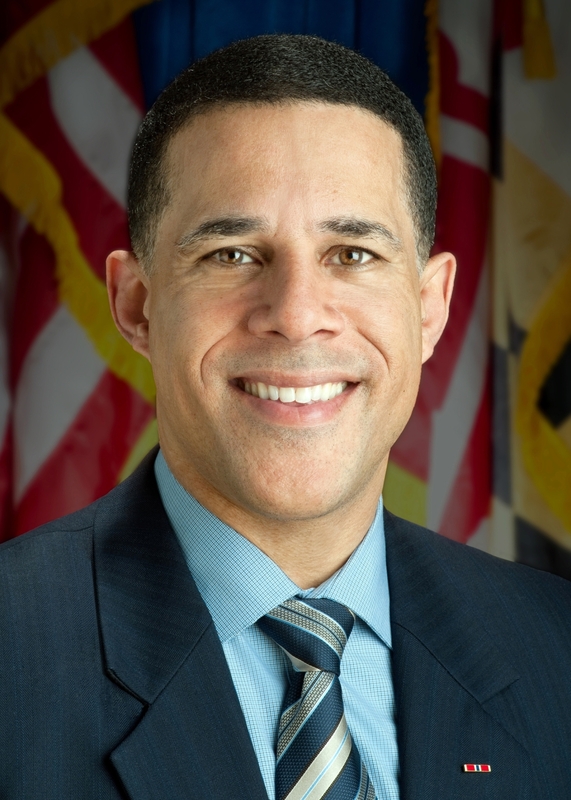 The authors attribute this “implementation in reverse” to many factors including, “a political bloc” motivated to protect Anthony Brown’s reputation by ensuring all inquiries into the exchange’s problems are delayed until after the election, as the Washington Post reported. Below is a heavily redacted version of Angarai’s IV&V proposal. The redactions are so heavy it is impossible to ascertain for outside parties to verify what work Angarai proposed to perform for the exchange or their competency to perform such work.